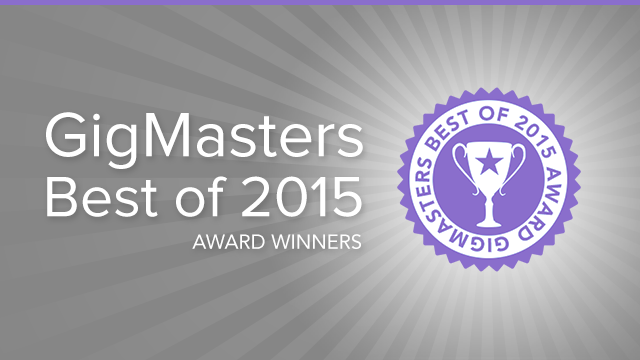 Today we're excited to announce GigMasters' Best of 2015! 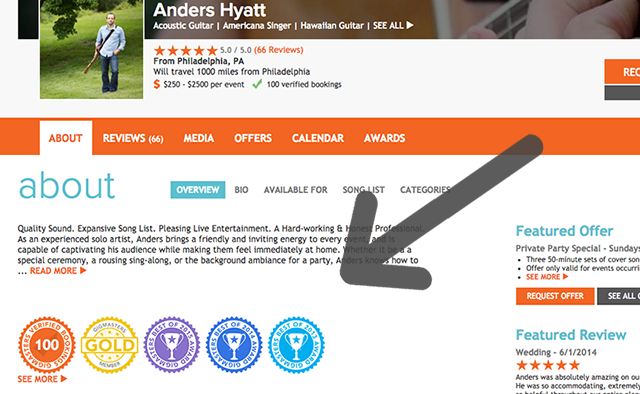 This prestigious award goes to GigMasters members who received 4 or more client reviews (of 4 stars or higher) in 2015. We're recognizing talented event professionals who went above and beyond to satisfy their clients last year. Four reviews was just the minimum - most of our winners flew past that earlier in the year. Congrats to all of the winners! We have notified all members and distributed the award image to their profile pages. For example, here's how the Best of 2015 looks on Anders Hyatt's profile. As one of the busiest guitarists in Philadelphia, he received 29 outstanding reviews last year alone. If you didn't recieve the award and you have pending reviews or bookings from 2015 please login to your Member Control Panel to confirm gigs or contact past clients. If you need help, feel free to contact us at info@gigmasters.com. First of all, keep up the good work and make sure that you confirm your bookings with GigMasters. This way your clients can leave you a verified review after the gig. If you earn 4 or more reviews (with a 4 star average rating) throughout the year, you'll receive the Best of 2016 award next January.